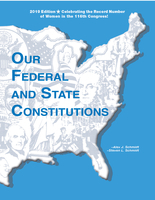 Teaching your Constitution and Citizenship units made Simple and Effective! Newly revised and expanded 2018-19 IL edition now available! How many free Teacher Guides would you like? Orders of less than 50 student copies typically receive only one free set of materials. Your requests will be reviewed and we reserve the right to adjust the quantity provided. 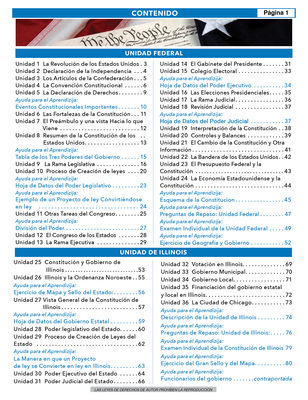 New 2018-19 Updated Illinois Spanish Edition is now available! 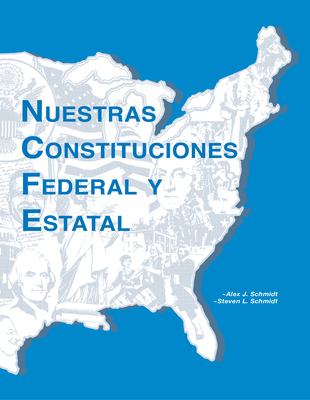 Nuestras Constituciones Federal y Estatal is a concise 80-page streamlined worktext tailored to fulfill the required study of these constitution, government, and citizenship units. 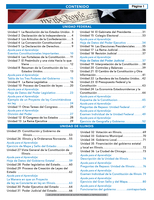 This is the Spanish Edition to Our Federal and State Constitutions worktext. The materials are written in an easy-to-read and understand format designed for students of all ages and abilities. This Spanish edition covers a wide range of both federal and state topics. 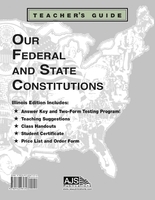 New for 2018, we offer two versions of the Spanish edition: 1) Illinois edition - closely matches the English version of Our Federal and State Constitutions - Illinois edition (ISBN 978-0-931298-39-4), and 2) Universal or generic edition of Our Federal and State Constitutions (ISBN 978-1-892291-05-9), containing the same federal section but with a general state section that can be used for all other states. You will be shipped the version that matches your shipping address. Reasonable pricing at $6.45 each for orders of 20 or more copies, and include FREE teacher materials. Less than 20 copies are $8.50 each. 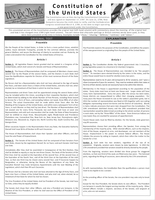 Teacher materials are FREE for orders of 20 or more copies.